Kyle Gray's phenomenal psychic gifts have made him one of the UK's most popular experts in the field. 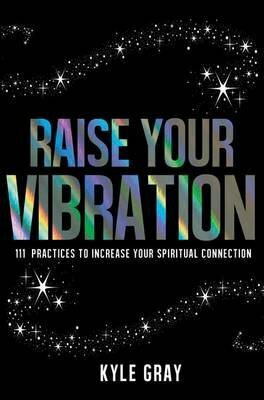 Now, in Raise Your Vibration, Kyle teaches readers how they too can develop their psychic abilities and discover the powerful talents within them. In this book, Kyle outlines the 111 key practices that he himself has been using for over 10 years to build his phenomenal skill. Readers will learn how to: -strengthen their connection to their guides -improve their intuition -integrate forgiveness and love into their daily actions and decisions The format of the book allows readers to either go through all of the practices 111 days in a row or pick a practice at random. With this book, Kyle aims to guide the reader to access the deepest and most beautiful part of themselves and start the journey towards becoming a positive force in the world. This is a must-read for anyone who wishes to develop their psychic abilities or deepen their spiritual practice.